Puerto Rican rapper PJ Sin Suela premieres a music video with an explosion of sound. Watch and listen to the track here! 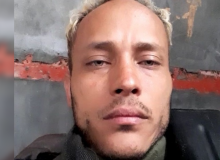 Venezuelan fugitive police pilot, Óscar Pérez, was killed by police in a violent nine-hour long confrontation. Pérez broadcasted the confrontation on Instagram. Do you read the reviews before making a purchase? A lot of people check the comment section first before spending their money on products they've never used before. 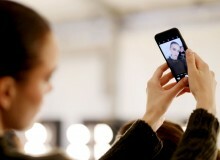 Learn how you can also share authentic and honest reviews. 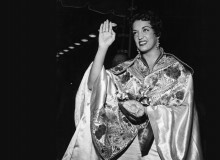 Google Doodle honors the birthday of the first Latin American actress nominated for an Academy Award, Katy Jurado. 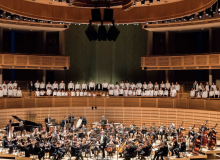 Maestro Eduardo Marturet and the Miami Symphony Orchestra will present a marvelous and joyful show that promises to captivate the audience. Latin Times spoke with Marturet on what the audience can expect. 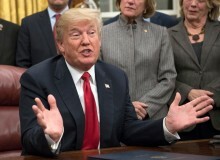 Donald Trump sparked outrage after allegedly saying during a DACA meeting, that Haitians, Africans, and Salvadorans are immigrants from "crappy" countries, adding that he want's them out and prefer immigrants from Norway. The Dutchess and Duke of Cambridge know the importance of knowing more than one language. 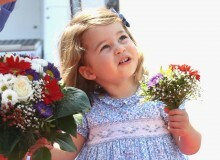 The Royals hired years ago a Spanish-speaker nanny to babysit Princess Charlotte and her older brother Prince George. 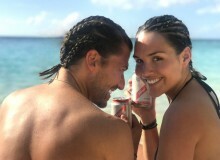 One year after the tragic death of Renato López, his ex-girlfriend Alexandra Ivanisevic confirms she is having a committed relationship with Santiago Alcocer, López best friend. Ecuador's Foreign Minister announced WikiLeaks founder Julian Assange was granted Ecuadorian citizenship. Assange fears being extradited to the US, where he could face life in prison or even the death penalty. The Department of Justice of the United Sates informed that Sinaloa Cartel cell leader Dámaso Lopez Serrano aka “Mini Lic,” pleaded guilty in federal court for drug trafficking. 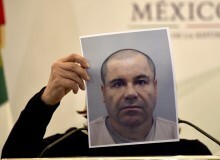 Mexican drug trafficker Joaquín "El Chapo" Guzmán will have to wait until September to finally know his sentence. According to his lawyer, the lack of communication with his relatives have hindered the funding of the legal defense. For Francisca Lachapel, creating moments of happiness for others lift her spirit. That is why she will be in charge of reuniting a family in the first episode of Univision's TV show "La Gran Sorpresa." 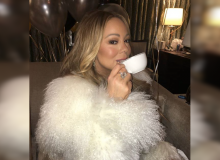 Tea is everywhere lately! And while some people prefer to drink it, others prefer to spill it. January is Hot Tea Month, and there's plenty of ways you can enjoy a warm, steaming cup of tea. Snow days are a great opportunity to enjoy a drink with your girls or with your significant other while you enjoy your favorite shows on Netflix. Need some inspiration? 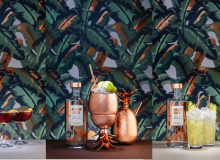 Here are four cocktails that are sure to cater to all your entertaining needs. 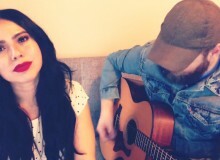 Valerie Ponzio's Country 'Mi Gente' Cover Is A Must-Listen! Valerie Ponzio wowed the judges during "The Voice" season 12. Ponzio keeps surprising fans with her powerful performances and this time around, her cover for 'Mi Gente' is a hit. Latin Times spoke with the artist on her career and future plans. "Condorito: La Película" comes to life this January! Jessica Cediel gives life to "Yayita" in this animated film and Latin Times spoke with the Colombian actress about her experience, how she got the role and much more. 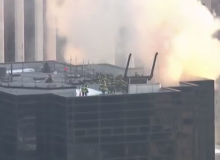 Firefighters attended a minor fire at the Trump Tower provoked by a problem in the heating and air conditioning system. Three people were injured. 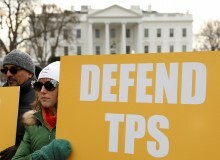 Nearly 200,000 Salvadorans must leave the United States territory after the Trump administration announced that they will end the Temporary Protected Status, commonly known as TPS. 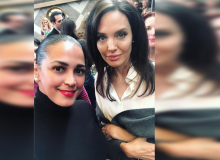 Dominican actress Celinés Toribio revealed a three-minute conversation she had with fellow actress Angelina Jolie. Toribio said she and Jolie spoke about the movie industry, Dominican Republic, and shoes. Jennifer Lopez and Alex Rodriguez visited Puerto Rico four months after Hurricane Maria, to announce the donation of 2 million dollars. They wore all black to be a part of the "Time's Up" movement.